Dalet announced today that CNNMoney Switzerland has selected the Dalet Unified News Operations solution to drive end-to-end content production and distribution at its forthcoming business news channel. Dalet, a leading provider of solutions and services for broadcasters and content professionals, announced today that CNNMoney Switzerland has selected the Dalet Unified News Operations solution to drive end-to-end content production and distribution at its forthcoming business news channel. Dalet’s proven ability to bring premium channels to air and to do so within tight deadlines was a key criterion for the CNNMoney Switzerland decision. The entire content production and distribution of the new Zurich-based facility will use the full feature set of Dalet news solutions, powered by the robust Dalet Galaxy Media Asset Management (MAM) and Orchestration platform at the core. “CEOs and CMOs of the leading Swiss multinational companies and the 50 world-leading NGOs and sports organizations are looking for a way to engage in an English-speaking national platform. 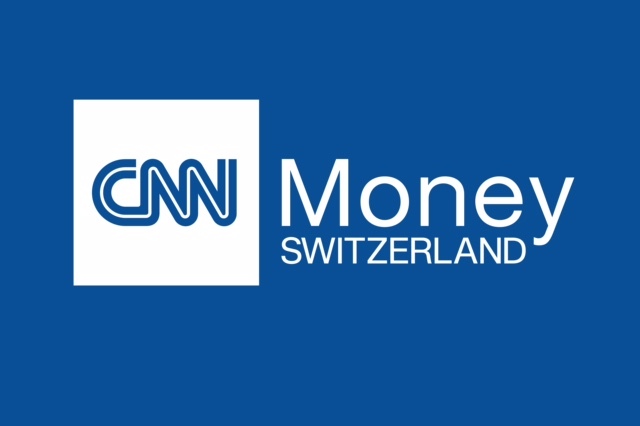 CNNMoney Switzerland will be their partner at home and abroad,” explains Christophe Rasch, CEO of CNNMoney Switzerland. “In looking to deliver this channel with CNN, we sought and found a company in Dalet with experience in designing and deploying news workflows for premium broadcast clients. It was important that we launch with the most sophisticated production and distribution tools available and on a platform that offers a secure, mature and fluid method of working,” says Jean-Yves Carabot, CTO of CNN Money Switzerland. CNNMoney Switzerland, to be launched in the fall of 2017, will be the first nationwide TV channel dedicated to business news for and about Switzerland. The English language channel will cover Swiss business news and companies, featuring original content produced from CNNMoney Switzerland’s new state-of-the-art studios and news operations. Domestic content will be supplemented by international business news relevant to Switzerland supplied by CNNMoney’s multiplatform editorial teams. The channel will be distributed across a range of Switzerland’s cable, TVoIP and free-to-air operators, accompanied by a CNNMoney Switzerland website and social network footprints featuring the latest Swiss and international content. “The Switzerland team has been working closely with CNN in London, Atlanta, and New York, exchanging visits and sharing best practices in show production, presenting, writing, shooting, graphic; all aimed at delivering a truly unique experience to Switzerland,” says Christophe Rasch, CEO of CNNMoney Switzerland. The Dalet Unified News Operations solution at CNNMoney Switzerland features the Dalet AmberFin media processing platform for high-quality transcoding, two Dalet Brio video servers for high-density ingest of incoming material and feeds, as well as playout of live and recorded news shows. Graphics are designed, managed and played out in Dalet Cube, the high-quality broadcast 3D graphics platform. Dalet WebSpace and Dalet On-the-Go extend the solution’s capability into the field for remote and collaborative news workflows, allowing authorized users at CNNMoney Switzerland to prepare and submit stories via a web-based client beyond the borders of the newsroom facility. Adobe® Premiere® Pro CC users are directly connected to the production workflow thanks to Dalet Xtend. The channel will also leverage Dalet comprehensive social media framework to distribute content to Facebook, Twitter, YouTube and the ability to push content in a blink of an eye to the CNN website. Finally, Dalet is providing an active backup of playout to secure continuity of service for the channel. For more information about Dalet Unified News Operations, please visit https://www.dalet.com/unified-news-operations. Announced in January 2017, CNNMoney Switzerland is an integral part of the international development strategy of the CNNMoney brand. With one studio in Zurich and another planned for French-speaking Switzerland, CNNMoney Switzerland is a cross-platform news source focusing on finance, economy, culture and lifestyle “made in Switzerland”. Catering to a niche market that has previously been underserved, CNNMoney Switzerland links national and international issues and newsmakers. The channel will act as a bridge between leaders around the world and Switzerland.